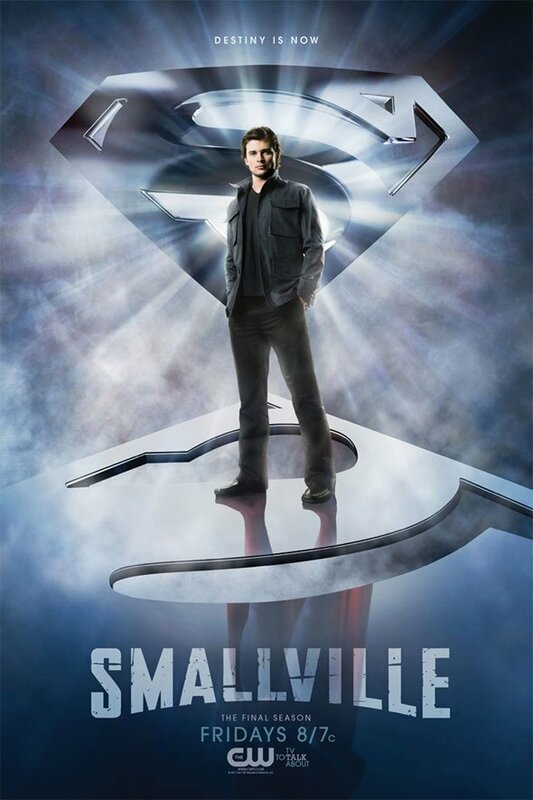 This year will see the completion of the tenth and final season of Smallville. Since first airing in 2001, fans have watched Tom Welling as Clark Kent grow into the person that would eventually become the Man of Steel, but something has always been missing: the suit. In all of the years that the show has been on Welling has never strapped on the red underwear and cape, despite fan pleading and endless petitioning for it to happen. Well, now it finally may. The DC Universe blog The Source has received a teaser poster for the second half of the final season and if the reflection at Welling's feet is any indication, fans will see this young Clark Kent grow into a real, authentic Superman. Adding to the tease, the poster cuts off right before Tom's head on the costumed body, so it's going to still take a bit of Photoshop trickery to see Tom Welling in the suit. Check out the poster below and head over to The Source to see it full size.